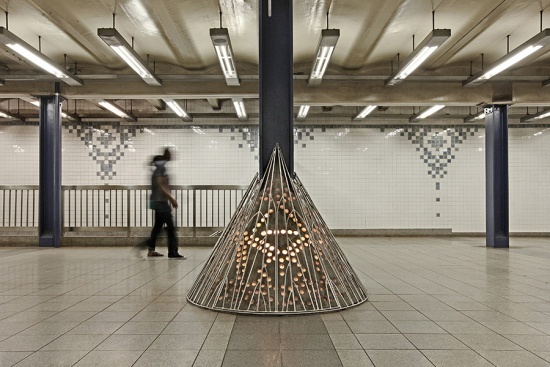 According to Times Square Arts, the public art program of the Times Square Alliance that partnered with the producers on the project, Wake serves as bridge to Unmoored. 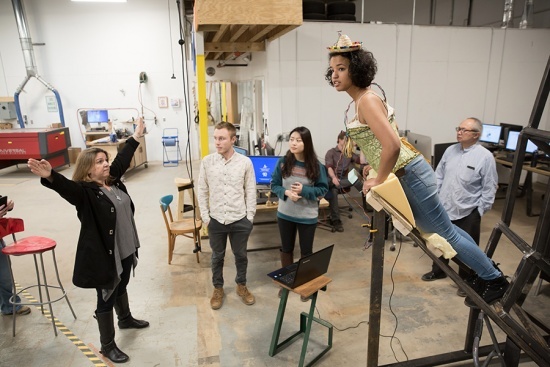 In collaboration with Microsoft, Unmoored is a mixed reality experience revealing a speculative vision of a world where global warming goes unchecked. Unmoored’s augmented reality section will extend from 45th to 47th Street, and will be viewable through cell phones and tablets. 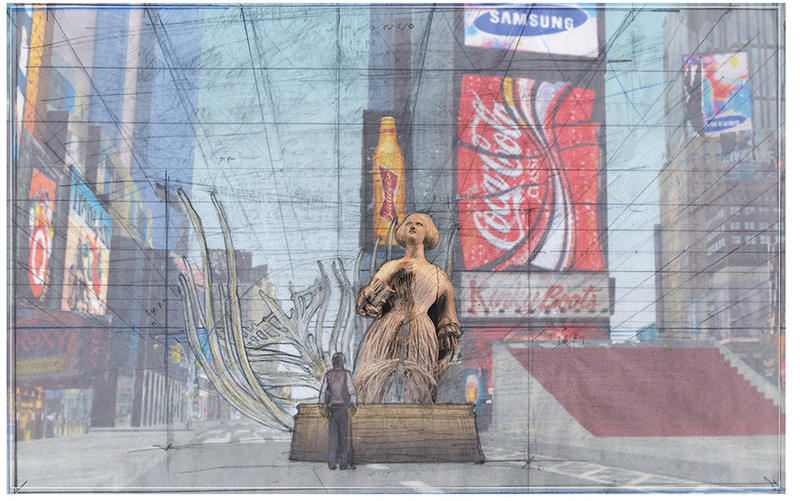 Times Square Arts commissioned these installations, which will be on view at the Broadway plazasbetween the cross streets above at Broadway/7th Avenue beginning July 11. All Over the Place began at the Queens Museum on April 8. The museum’s portion of the exhibition is the first survey of the artist’s work by a New York City institution. 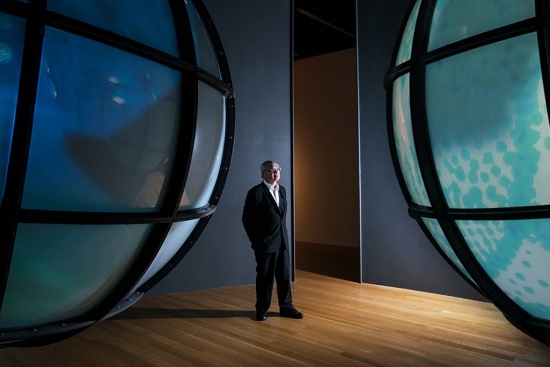 In total, the survey contains over seventy works spanning Chin’s four-decade artistic career, including paintings, sculptures and videos. Additionally, two newly commissioned projects, Flint Fit and Soundtrack, are found at the Queens location.